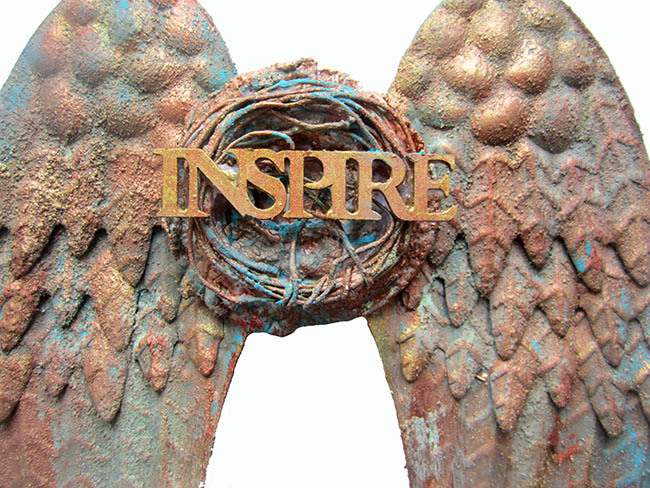 Here is the project I made live on the Artists Live Ustream show on March 27th. 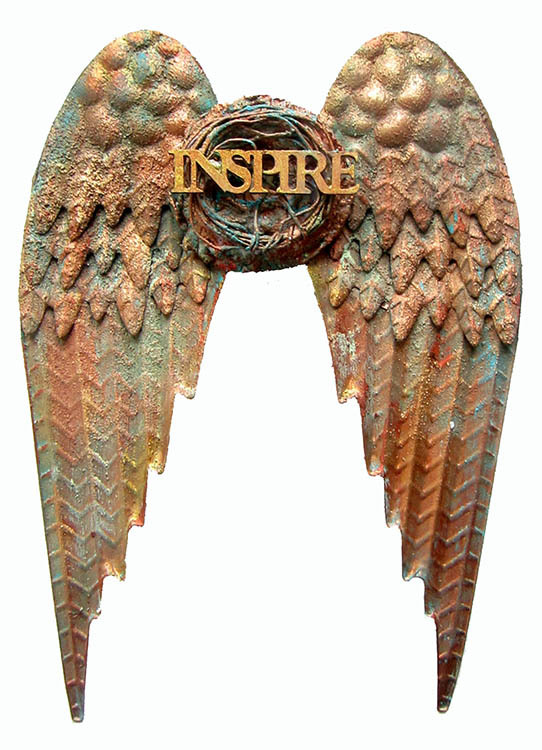 Its a set of metal wings that I altered with Finnabair’s Patina and Rust paste from Prima Marketing. You can see the video recording on how I altered them and all the links to the products I used below. 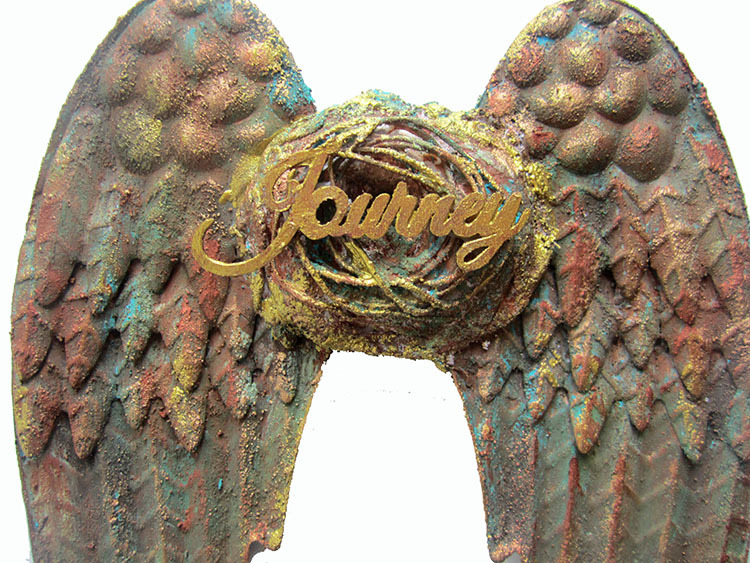 Here is the first set of wings I created before the show and below are the wings I altered during the live show. 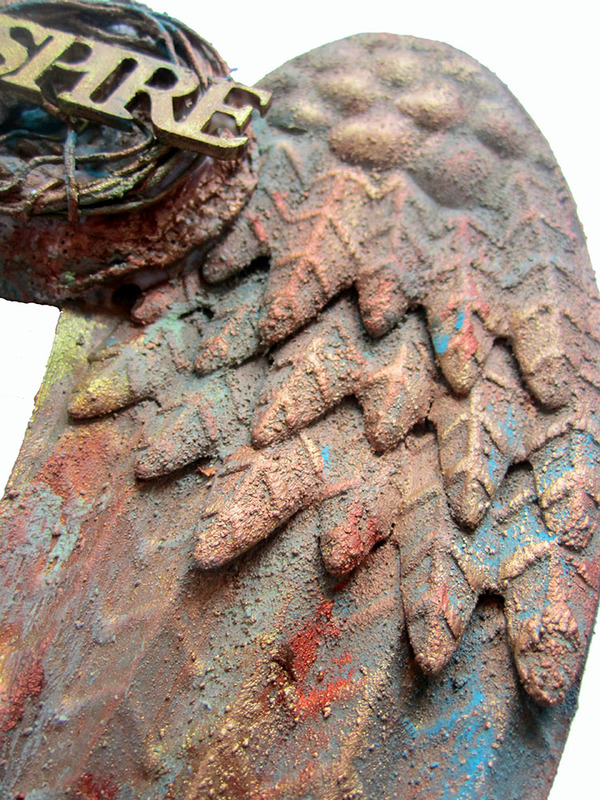 Here are some closeups of the wings which show the amazing texture!! Oh no…. you did it again ! Made me speechless and made me envy you lovely people 'over there' ….. 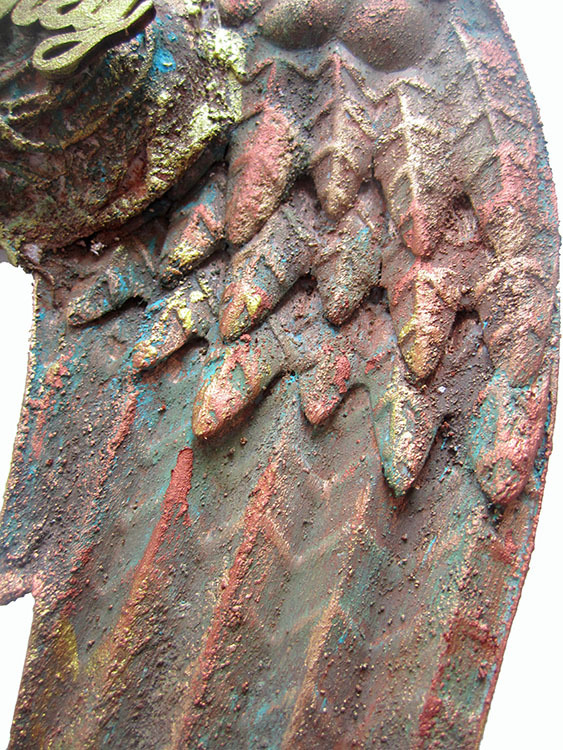 These Salvage Angel Wings are just fabulous. And your treatment changed them from being fabulous to AWESOME ….. STUNNING …. Thank you so much for producing this video and for sharing your skills with us. 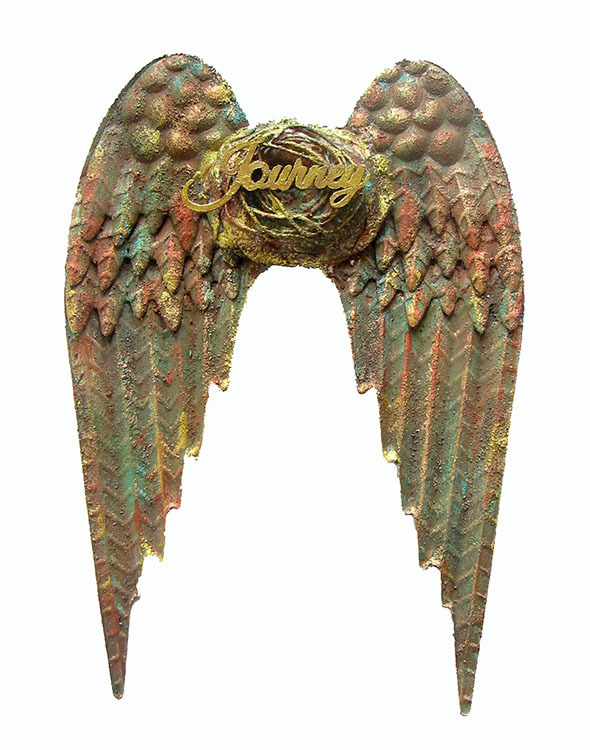 PS If you ever hear about a store selling these wings please let me know. I NEED to try my own "copy" of your project. But since we dont have Wallmart here in Europe it seems as if it will be very difficult getting my own. I guess a trip to USA to buy them will be unreasonable expensive. 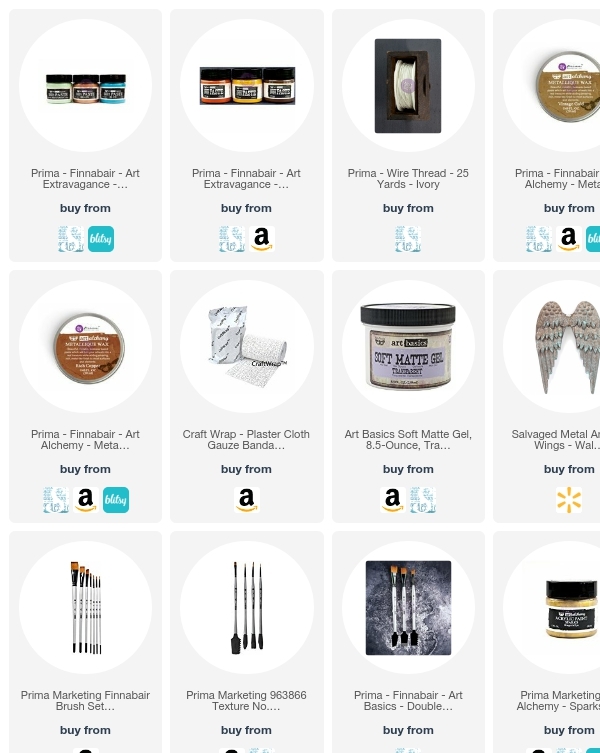 And I doubt I can persuade Wallmart to open a branch here…. so I'll be left with the hope that one of the craft-stores will decide to sell them eventually… sigh.. Thanks again dear friend. It is always a pleasure to watch your videos and your art work. Wow, this is just amazing. I really love your wonderful and special work. Well done! You must keep your spirit high and keep going. Your article has really inspired me and motivates me for not letting myself down.